Located near the intersection of Highway 16 (Robert C. Byrd Drive) and WV Route 19 (North Eisenhower Drive). BB&T facility opened in July, 2010 (2.35 acre ground lease). Up to 17 acres available with signalized access. 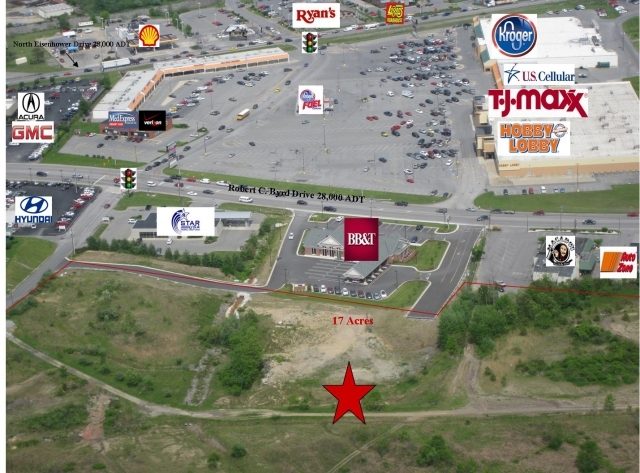 Ideal location for retail, restaurants, or office space.